2) Search for cars by car brand, model car, the price of the car, the car lane, and the condition of the car (new / used). 3) The application of the car provides the user with the address of the car showrooms and exhibitions. 4) The Car Application provides the user with contact information for full auto showrooms and lounges. 5) The application of the car is updated with the latest offers, prices of cars directly from the exhibitions, and instantaneously. 6) You can buy a car in instalments through the application and shipped to your place easily. 7) Car application allows a user to browse car ads with ease. A Syarah application is a market and garage for the sale of new cars used in Saudi Arabia in cash and instalment. It is estimated through the application of a car choose the car company, for example, Toyota or Hyundai and then choose the type of Land-cruiser, nitro, Sonata or Nissan. You can choose the model year or even several years. You can also look at the walkway, for example, cars that are less than 50 000 km in diameter. The scope of the search is limited to the type of lime and cylinders and all this in a car application according to your needs. 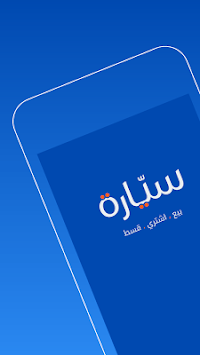 Do not forget to share the application with your friends to shorten the time and effort. 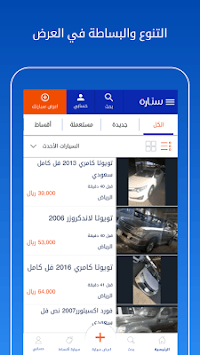 You can now browse the latest offers of new cars and used cars from Saudi auto showrooms and galleries directly on your mobile phone through the Syarah application. 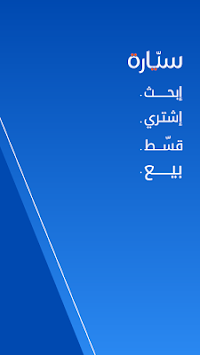 Syarah Application The car advertisements for sale in the Kingdom's car showrooms, as well as car specifications and prices, with full contact information are available. Browse cars for sale in Haraj Al Nasim and Haraj Al Shifa and various car showrooms in Riyadh, in addition to car showrooms in Dammam and car showrooms in Jeddah. When buying a car through Syarah online, the car will be fully insured until it is delivered to you.